In need of some recommendations for a new-build PC? Then you may have enjoyed this month's weekly questions, all of which have been geared toward shedding light on which manufacturers are favoured by consumers in their respective markets. Having perused all of your comments and thoughts, there do appear to be some stand-out choices in each category. Asus, Gigabyte and ASRock seem to be popular in the motherboard department, Noctua is understandably revered when it comes to CPU coolers (though be-quiet! gets a fair few honourable mentions), quite a few of you rate Fractal Design and Lian Li as two of the frontrunners in PC chassis, and when it comes to graphics cards it tends to be EVGA for Nvidia or Sapphire for AMD. Sound advice, we reckon, so now let's turn our attention to a vital component that shouldn't be underestimated; the power supply. You could argue that it's hard to find a bad one these days, yet our resident PSU guru would be quick to point out that you get what you pay for. 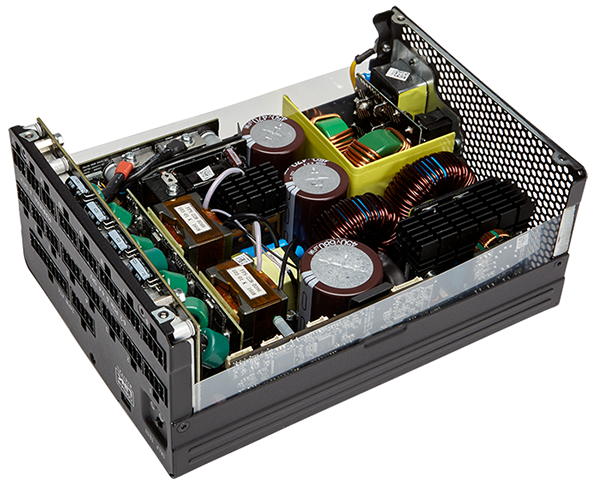 We've passed judgement on our fair share of supplies over the years, but today we're passing the baton to you by asking who makes the best PSUs? Share your thoughts using the comments facility below. 75 QOTW: What wattage is your power supply? Seasonic for me, always used them and never had a problem. Seasonic for me too. Well built, reliable, quiet and never struggle under high load. Even the rebranded units from Antec/Corsair I've had that were made by Seasonic have been brilliant. Seasonic on average as an OEM,but some others like Flextronics,etc are also pretty decent. evga 10 yr guaranty and a 5 day turn round when it does go wrong ..